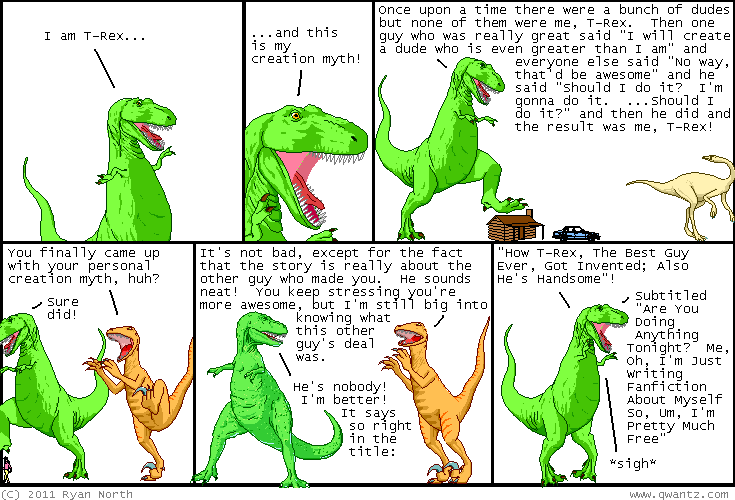 Dinosaur Comics - March 14th, 2011 - awesome fun times! 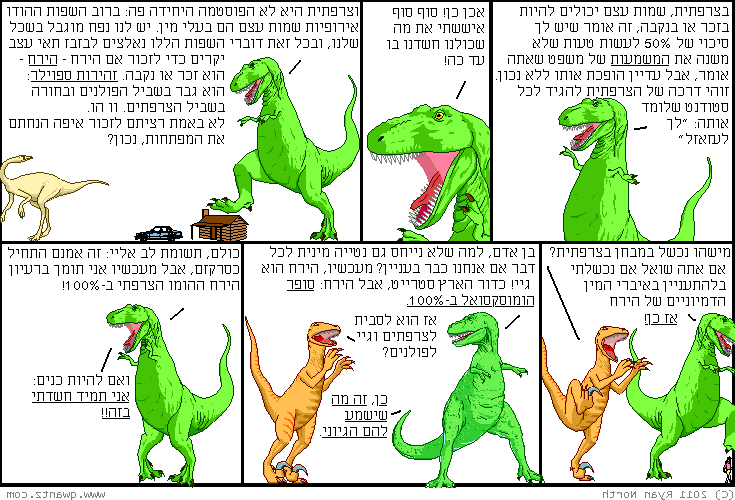 –Only I don't really know who's gonna win tomorrow's horse race! March 14th, 2011: Japan is still recovering from that terrible earthquake and tsunami, please consider a donation to the Red Cross (American, Canadian, British) to help! 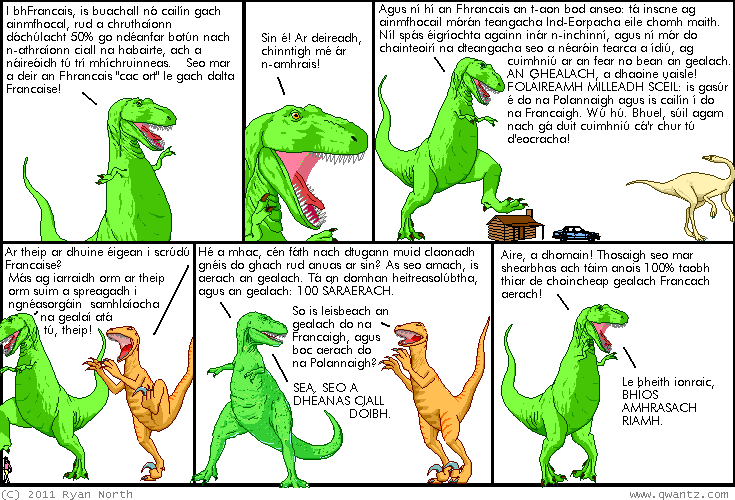 And Aonghus is a first-language speaker of Irish, and sent me the comic translated into that! There's no word for "heteroflexible" in Irish so Aonghus got to invent it: "heitreasolúbtha", which he says "means heteroflexible, but also it means... something like heterostretchy", which is the best description for a sexual orientation I have heard in a whole month of Sundays. One year ago today: sometimes you need to look in the mirror and say "my friend, i won't talk about last week if you don't."